I never expected to be interested in yoga, it had always seemed to me as a series of complicated contortions reserved for the extremely flexible, and so I took my first steps cautiously, practising alone or with the help of a good friend who just happens to be a yoga teacher so as to avoid the intimidation of large classes. I am so thankful that I took those first steps and began to learn that it is about so much more than twisting your body into unusual shapes, that it is about a deep connection between the mental and physical, and has something to offer to people from all different walks of life. I have learnt so much about myself, my body and life in general, and have found myself to be a much calmer and well balanced person, and so I wanted to compile and share some of the lessons I have learned along the way. Firstly, yoga requires me to set aside a portion of time entirely for myself, which is in itself a huge step towards self nurturing in such a fast paced world. We are so busy and tend to make ourselves feel guilty for taking any time to look after ourselves, expecting instead endless productivity and achievement. Through yoga, I am slowly discovering how warped this way of thinking is, as time dedicated to myself actually makes me more productive in the rest of my life. After a session of yoga I feel infinitely more energised and creative which allows me to complete tasks with not only efficiency but with joy. Learning when not to push myself is an important and sometimes difficult lesson. There are times when a pose looks easy when performed by the teacher or someone else in the class and it feels frustrating to not be able to do it myself. But this is just like life, where some may be gifted at singing and others at mathematics; everyone has their unique talents and strengths as well as weaknesses, so I should not push myself so hard to be something I am not. Yoga is helping me not only to accept myself entirely as I am, but also to love it. The movements of yoga can be so beautiful and graceful, and it is a truly liberating form of self expression. I become the artist as you flow through space, writing my own unique story, and in doing so I unlock feelings of inner strength and self confidence. Being able to move in a way that feels good without fear or self consciousness helps me to navigate the rest of my life with honesty and courage. I never have to be ashamed of being myself. The practice of yoga is, to me, a metaphor for my journey through life. I start slowly, easing my way into movements like a child discovering the world, building up to more challenging positions that mirror difficulties I face in adult life before finishing each session with shavasana, also known as corpse pose. 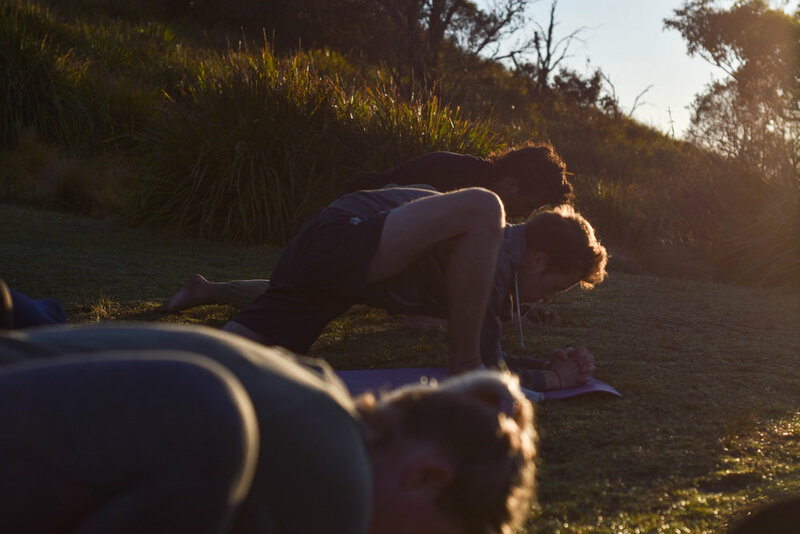 Yoga is therefore the perfect training for all the twists, turns and inevitable problems of life, as the same techniques I use during practice can be used off the mat, where difficult situations can often be diffused by pausing and taking a moment to focus on my breath to centre myself. These breathing techniques were invaluable to me when working as a teacher, where I would often find myself nervous as I stood before a sea of expectant students who seemed almost to challenge me with their curious eyes. But these nerves would gradually dissipate as I connected to my breath, and the best part is that no-one else can tell what you’re doing, so my moment of stress would remain my secret. I have learnt so much in my yoga journey already, and it’s only just beginning. I am so grateful for the opportunities I have had to further my practise here at Govinda Valley, which has been such a special place for me and has helped to further my practice. 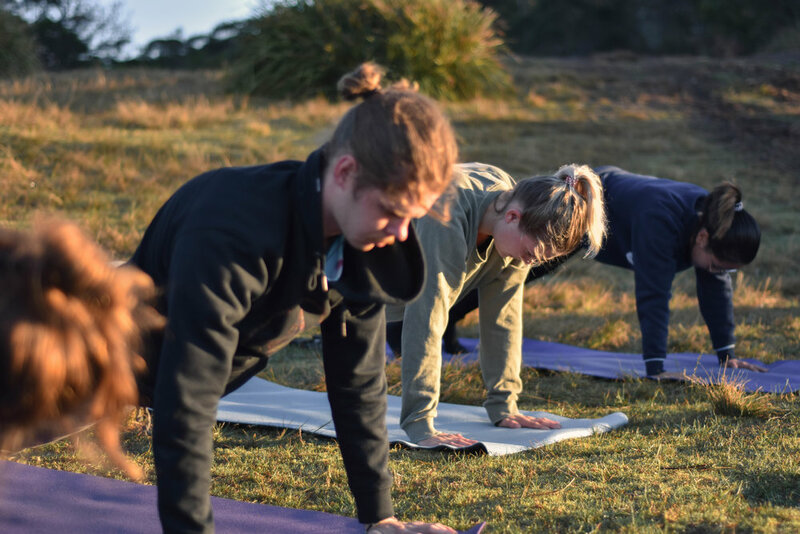 I urge anyone who is curious to give it a try, whether here or in your own time and space; yoga is an incredibly powerful tool, not only cope with life’s difficulties, but also to celebrate its many joys.